The Beauty Junkie - ranechin.com: What to Choose for Your Wedding Flowers? One of the most important occasions in life is a wedding; this is why every couple would do everything to make their wedding look extravagant and remarkable. And for that, the wedding flowers are essential to have. Can you imagine a wedding without even a single flower? Without flowers, the wedding ceremony will become senseless and imperfect. Everyone would agree that flowers bring life to the wedding. Flowers are used for decorating the altar, walls, and ceilings. Most importantly, a bride must hold a pretty arrangement of wedding bouquet to make them look more complete. This is where the challenge comes in: picking the perfect bouquet, you need to be careful and selective. This is the all-time-favorite flower bouquet for any occasions, including a wedding day. White Roses are perfect and are the ideal color for a beautiful wedding; they have many shades of white and will make a perfect and beautiful flower arrangement. The white rose also carries a kind and lovely meaning for a wedding: purity and innocence, represents the pure love of you and your partner have. 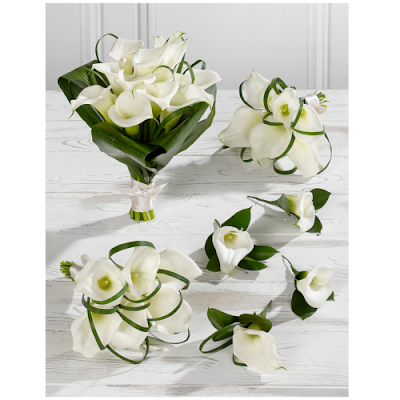 This one is an elegant flower to have at your wedding ceremony. They are perfect for beautiful moment like a wedding. The sophisticated elegance will put the whole glimpse and create the best impression of your guests. This kind of flower is also the best option for your wedding! Tulips are available in a wide variety of colors, and you can choose one or combine the different shades of white, red, yellow, or lavender to be your wedding flowers. Other than those three, Orchids are also the famous flowers to choose for your impressive wedding bouquet! They have colorful blooms and represent the beauty and elegance of a woman. The sophisticated colors and shapes also will attract others’ attention and beautifies the whole area of your wedding as well. These flowers are just a few options that you can pick for wedding flowers. And keep in mind, you need to make sure that you get the flowers from the best flower shop. Otherwise, the perfect flower won’t look as perfect as you expected.